"SiteGround" Reviews (Apr 2019) - Why 5.0 Stars? With a reputation for reliable customer support and the leading-edge tech innovations they bring to the hosting space, if SiteGround isn't among your potential hosts, your list is lacking. CEO Tenko Nikolov and Founder Ivo Tzenov gave us an inside look at the tech behind their customer-centric hosting innovations. “With an impressive breadth of overall hosting services offered, SiteGround is a leading innovator in the hosting space — from custom software solutions to premier customer support. They offer the full range of web hosting features, including a free Cloudflare CDN, cPanel with SSH access, and unlimited MySQL databases and bandwidth — not to mention their prize-worthy customer support. “Hosting with the perfect balance of technological innovation and superior customer support, SiteGround offers a range of affordable hosting services to meet your needs. In addition to the expected cheap web hosting perks — free website builder and unlimited bandwidth — they specialize in the custom-built tools they bring to the table for technical and customer support. “Looking for limitless server resources that are easily accessible across the globe? Look no further than SiteGround's dedicated hosting. Featuring multiple datacenters based out of the US, Europe, and Asia, SiteGround's dedicated servers offer extreme accessibility, scalability, and security. “When it comes to VPS hosting, SiteGround does things a little differently. Instead of managing a typical virtual private server network, they have their very own cloud platform that they built from the ground-up. It's similar to VPS, with shell access included, but it's much more scalable, according to Tenko. “Want a hassle-free, WordPress-compatible hosting service? 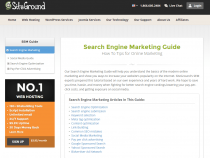 SiteGround has thought of everything you need to get your site up and running. Starting with the essentials, users get free email accounts, site transfer, Cloudflare CDN, and cPanel license. Then they make it simple for you to start rolling out content by offering easy, single-click installs for popular CMSs, including WordPress. “Do you know you need to build a website, but don't know where to begin? Well, SiteGround will start you off with unlimited email accounts, site traffic, and database storage options — all for free. Those are just some of the essential starting perks. SiteGround makes it easy to get your website launched cost-effectively and quickly, with tons of freebies to get you started. They offer free auto-migration, as well as WordPress setup conducted by their own in-house experts. 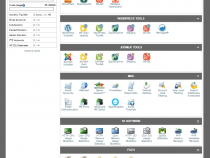 You'll love the all-inclusive UI with cPanel, which includes readily available SSH access. All plans include Cloudflare's CDN, and SiteGround conducts daily backups, proactively preserving changes made to your website. Experience the comforts of 24/7 customer support and a 99.9% uptime guarantee. Plus, their tech support team offers tons of free tutorials and knowledge base articles, which they update frequently to keep you up-to-speed with relevant web intel. Their in-house-built ticketing system assigns specified tasks to the most appropriately qualified tech ops team member. The custom solution uses an algorithm to select an agent based on skill level and expertise. The chat system used by their support team to communicate with users is also custom-built. Customers can select team members they've previously chatted with and rate them based on their experience. Peruse your history with customer service representatives. All customer support team members go through thorough training before being approved for user interaction, and users can view their professional profiles within the custom chat system portal. SiteGround has an advanced website optimization caching system, called "SuperCacher," built to dramatically improve site performance and speed. SuperCacher includes options for static or dynamic caching, as well as a Memcached and HHVM option. With other hosts, most server issues take up to 20 minutes to detect and an additional 20 minutes for reaction and resolution. SiteGround's unique downtime prevention software monitors server statuses in real-time, and 90 percent of performance issues are instantly detected and automatically resolved. With real-time server issue detection and blazing page load speeds, SiteGround over-delivers on their promise of 99.9% uptime — 99.996% yearly and 99.999% monthly! SiteGround was the first to implement a unique isolation system in which vulnerable accounts are prevented from taking down entire servers. Their one-of-a-kind isolation technology makes their shared hosting service as secure as most (more expensive) dedicated hosting. Popular software brands can act as magnets for malicious attacks, yet most hosts wait for the software's developers to react in the event of a security breech. SiteGround monitors and detects threats, while keeping software up-to-date and performing in-house patches. On the hardware side, their Dedicated Server Operations Team actively tests and tweaks the server architecture for optimized performance. Replacement parts for every hardware model are kept on-site, and hardware is regularly updated, with seamless transitions. SiteGround's easy-to-navigate interface is stocked with tons of free, easy, single-click installs, as well as plenty of upgrades and add-ons. The all-inclusive UI with cPanel is simple-to-learn and houses flexible options for users of all skill and comfort levels, to help them get started. Plus, SiteGround's in-house experts are there to help 24/7/365. Whether you're looking for expert assistance with WordPress setup or some tips for marketing your site, their tech support team has assembled a series of tutorials, guides, and step-by-step resources to make launching a website with SiteGround hassle-free. SiteGround's commitment to customer service is made clear by the technology they've built to support their users. Easily submit new issues regarding billing, development, site transfer, installations, and more using their Support ticketing system they've developed in-house, or click to chat with a representative using their custom chat system. SiteGround offers a range of hosting plans to meet your shared hosting needs (as well as those for dedicated and Cloud hosting). All of their shared hosting plans come with the "essentials:" website transfer service, app installations, email accounts, plus unlimited traffic and MySQL databases, with 24/7 support and a 30-day money-back guarantee. You'll also receive free daily backups, as well as cPanel, Cloudflare CDN, and of course, SiteGround's outstanding uptime (99.996% yearly, 99.999% monthly). Storage allotted is 10GB, 20GB, or 30GB, and sites can handle approximately 10,000, 25,000, or 100,000 visits per month, depending on your plan. Their "StartUp" Plan is perfect for kick-starting a single site, while the "GrowBig" and "GoGeek" Plans allow you to build multiple sites with priority tech support, 1-year SSL certificate, and their SuperCacher for optimum speed. "GoGeek" users also receive "Geeky Advanced Features," which include fewer accounts per server, advanced hardware, free PCI compliance, and pre-installed Git and staging. All of these plans come packed with the best features for the some of the best prices you'll find. SiteGround prides itself on innovating with ideas previously considered implausible. For example, in the early days of shared hosting, the drawbacks to running on shared servers were typically weakened security and hindered performance. "Isolation between shared hosting accounts was considered impossible," Tenko told us. "People told us we couldn't do it, and we did." SiteGround was the first to implement a unique mechanism that isolates server accounts, so that vulnerable accounts can't be the demise of entire networks. 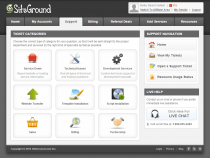 SiteGround also offers free daily backups to their customers. In the past, the backup systems available took up to half a day to generate results. They created their own backup system, which takes about an hour to run, at no additional cost to users of any of their packaged plans. "GoGeek" users can also receive up to 30 copies of these backups. Wondering how SiteGround stacks up againt other web hosting services? See our host-vs-host reviews below and compare them side by side. 21 out of 21 times. A hosting hero when it comes to customer service and tech solutions, SiteGround is a dominate leader in web hosting, across the board. Tenko and Ivo offer hands-on support to their team when it comes to the development side of ensuring quality as a top priority. Their attention to detail is reflected in the rigorous UX testing, 24/7/365 customer support with custom-built software, and of course, their supreme uptime. Whether you're looking for shared, dedicated, first-time, or cloud hosting, SiteGround is prepared to meet your needs with top-tier features and an incredibly responsive and polite approach.